Having sheep on your pyjamas makes it much easier to count sheep to fall asleep! The farmyard friends sit happily on 100% super soft brushed cotton, making them extra soft and lovely for bedtime. 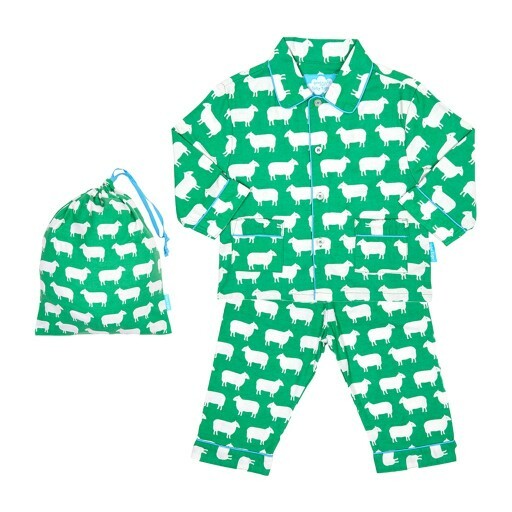 These children’s pajamas are finished with handy pockets and comes with a matching drawstring bag - perfect for weekend sleepovers with friends or as a funky gift!